OMG!!! What an unexpected treat. Another fantastic, nuanced story from Tracey Garvis Graves. The Girl He Used To Know’ is one of the best books this year. Annika is on the autism spectrum and has been bullied her entire life. She struggles every day with the simplest things that we all take for granted, such as normal human interactions. She warmed my heart with her strength, humor and huge heart. Annika and Jonathan meet and fall in love in college over their love of chess (yes, chess!) but their love story picks up again ten years later when they meet by chance. Annika is the girl that Jonathan never forgot and Annika still hurts over their breakup. The story alternates between the past and ten years later, and had I paid closer attention to the chapter headings I would have not been so shocked at the conclusion of this book. The story is simply beautiful and unputdownable. I don’t read many love stories that rise to this level, but this book grabbed me from the very first page. Annika’s family, her angel of a roommate Janice, and all of the supporting characters were loving, funny and real. They break up but then ten years later, they happen to run into each other in back in Chicago. They decide to reconnect. They agree to meet up for coffee and try out a new friendship and maybe even a relationship. To Jonathan, Annika was the girl who got away. For Annika, no one will ever understand her the way that Jonathan does. The story alternates back and forth between college and present time (2001). We get to experience their history unfolding as Annika slowly becomes able to face her past. Sadly for Annika and Jonathan, another horrific tragedy just might keep then apart forever. This is ultimately a triumphant love story with two well-written characters that stole my heart. I wanted to scream at both of them, “YOU BELONG TOGETHER! THERE IS NO ON ELSE FOR YOU!” Pay close attention to the story flashing back to the college meeting and then back to them meeting again 10 years later, and you might figure out what is going to happen. I was totally surprised! Written in a clean and spare prose, this is one of the greatest love stories I’ve read in a long time. There are two other relationships central to this book: Janice, Annika’s roommate, best friend and social behaviors instructor, and Tina, Annika’s therapist, who helps her find her way in the adult world of dating, working and meeting friends. This is a unique book written with tremendous empathy. For romance lovers, ‘The Girl He Used to Know’ explores the sweetness of first love, heartbreak, redemption and unconditional love. Annika and Jonathan’s romance and friendship should be experienced by everyone! I fell so in love with them during this book, and did not want it to end. Bravo to the author for creating such a compelling and beautiful love story. OMG!!! What an unexpected treat. Another beautifully nuanced story from Tracey Garvis Graves. 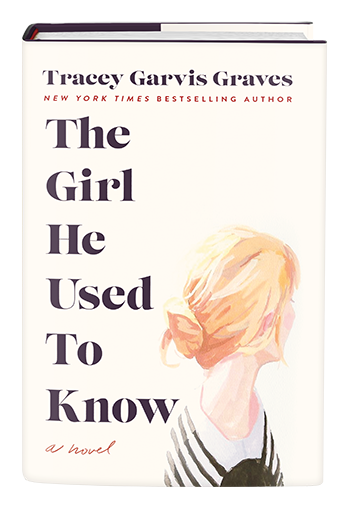 The Girl He Used To Know’ is one of the best books this year. Annika is on the autism spectrum and has been bullied her entire life. She struggles every day with the simplest things that we all take for granted, such as normal human interactions. She warmed my heart with her strength, humor and huge heart. Annika and Jonathan meet and fall in love in college over their love of chess (yes, chess!) but their love story picks up again ten years later when they meet by chance. Annika is the girl that Jonathan never forgot and Annika still hurts over their breakup. The story alternates between the past and ten years later, and had I paid attention to the chapter headings I would have not been so shocked at the conclusion of this book! The story is simply beautiful and unputdownable. I don’t read many love stories that rise to this level, but this book grabbed me from the very first page. Annika’s family, her angel of a roommate Janice, and all of the supporting characters were loving, funny and real.Annika never had a boyfriend before Jonathan. He makes her feel safe in social situations and falls in love with her and all her quirky habits. Annika is painfully shy but Jonathan brings out the very best in her. He sees what a selfless and loving person she is, and learns to deal with her quirky behavior.They fall deeply in love and make plans to move to New York together after college. A terrible tragedy strikes which tears them apart. Jonathan reluctalntly moves to New York, expecting Annika to follow. Annika tells him it’s over and moves on with her life. Jonathan marries. But then ten years later, the happen to run into each other in back in Chicago. They decide to reconnect. They agree to meet up for coffee and try out a new friendship and maybe even a relationship. They intend to take things slowly and try for a second chance. To Jonathan, Annika was the girl who got away. For Annika, no one will ever understand her the way that Jonathan does. The novel weaves back and forth between their college years, and present time (2001). We get to experience their history unfolding as Annika slowly becomes mentally and emotionally available to face her past. Sadly for Annika and Jonathan, another tragedy just night keep then apart forever. This is ultimately a triumphant love story with two well-written characters that stole my heart. I wanted to scream at both of them, “YOU BELONG TOGETHER! THERE IS NO ON ELSE FOR YOU!” Pay close attention to the story flashing back to the college meeting and then back to them meeting 10 years later, and you might figure out what is going to happen. I was totally shocked! Written in clean and spare prose, this is one of the greatest love stories I’ve read in a long time. Annika is kind-hearted, lost and anxious. But she has a lot of love to give. Jonathan early on just “gets” her and has infinite patience for her many odd behaviors. The story is both poignant and profound.There are two other relationships central to this book: Janice, Annika’s roommate, best friend and social behaviors instructor, and Tina, Annika’s therapist, who is helping her navigate the adult world of dating, working and meeting friends. This book certainly offers some hope and practical advise to those who might be struggling with living on the spectrum. This is a truly unique book written with tremendous empathy. 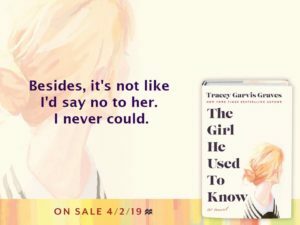 For romance lovers, ‘The Girl He Used to Know’ explores the sweetness of first love, heartbreak, redemption and unconditional love. Annika and Jonathan’s romance and friendship should be experienced by everyone. I fell so in love with them during this book, and did not want it to end! Bravo to the author for creating such a compelling and beautiful love story.